Erth is a large 2D Sandbox RPG Exploration Top-Down Turn-Based Adventure game where you explore an infinite world socializing, exploring, fighting, mining and building! 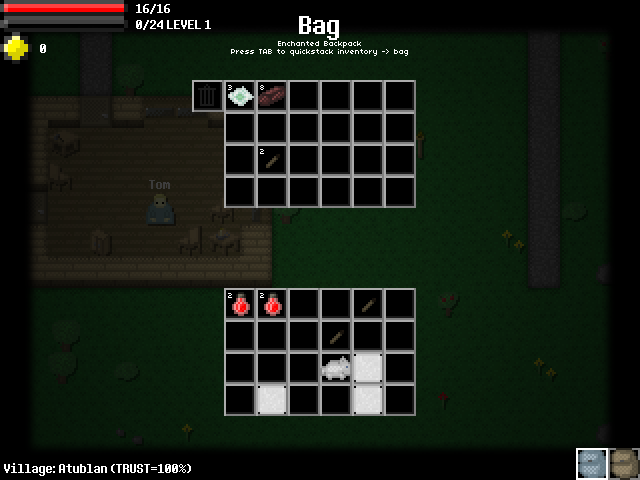 The game features a fully-fledged crafting and inventory system with over 400 items, along with over 200 crafts! The world is split into 64x64 areas that you can explore an unlimited number of! 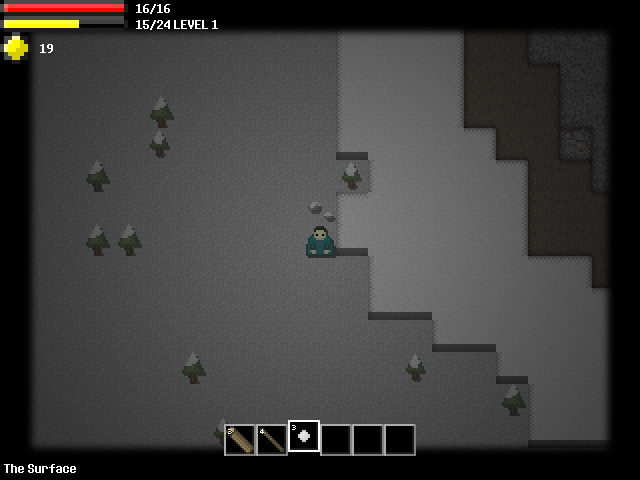 There are also tons of enemies, biomes, materials, and more! - Infinite, randomly generated world. - Hundreds of items and objects. - A gigantic interactive guidebook to help you on your way. - Armor, trinkets, and other equips. - Discover craftnotes underground and discover new crafting recipes. - Magic, spellcasting and mana. Erth is a large 2D Sandbox RPG Exploration Top-Down Turn-Based Adventure game where you explore an infinite world socializing, exploring, fighting, mining and building! The game features a fully-fledged crafting and inventory system with over 600 items, along with over 300 crafts! The world is split into 64x64 areas that you can explore an unlimited number of! There are also tons of enemies, biomes, materials, and more! Info on recent development, including future updates, new lighting, new mechanics, bug fixes, etc. Erth v5 Update! Download now! 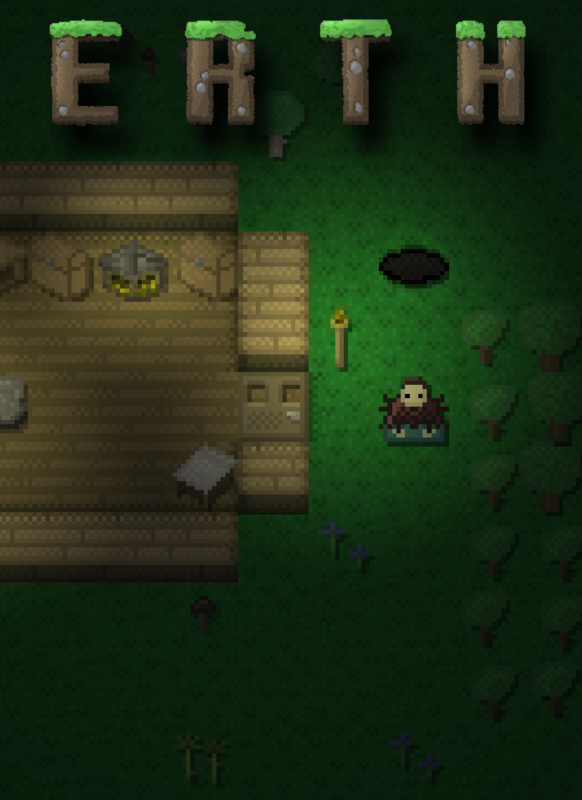 The infinite top-down sandbox RPG has been updated! This update contains hundreds of new item and dozens of new features. Play now! I'm happy that you continued development of this game! Keep it up with the updates :), this game shows promise imo. Excellent work so far!!! Excited to see how this develops. Loving the infinite world!!!! Would like to see more interactions with npcs. Any plans on some light settlement building/management? Maybe build houses etc and have villagers move in to them? Any plans for followers/companions? Also would like to see farming - grow crops/livestock/fishing etc. Tracking this title, I'm quite interested. Will wait a bit for now though, so Keep up the good work! Thanks! I think I'll do one more update adding things that have been suggested by players. I do hope you try it out! Thanks! I will look into that, I've never seen that bug before. As a temporary workaround you could exit and then re-enter your world. I've enjoyed the game so far after a few days of playing it. The only issue I have experienced is when 50 creatures clutter an area if I don't kill them, drastically slowing the framerate on my laptop. Other than this, it is a very well-made game. Keep up the good work, sir! Glad you are enjoying it! Yes, many entities will slow down the game for sure, simply because of Gamemaker 8.1's speed issues. v5 already contains 150+ new items! any idea of a release on v5?